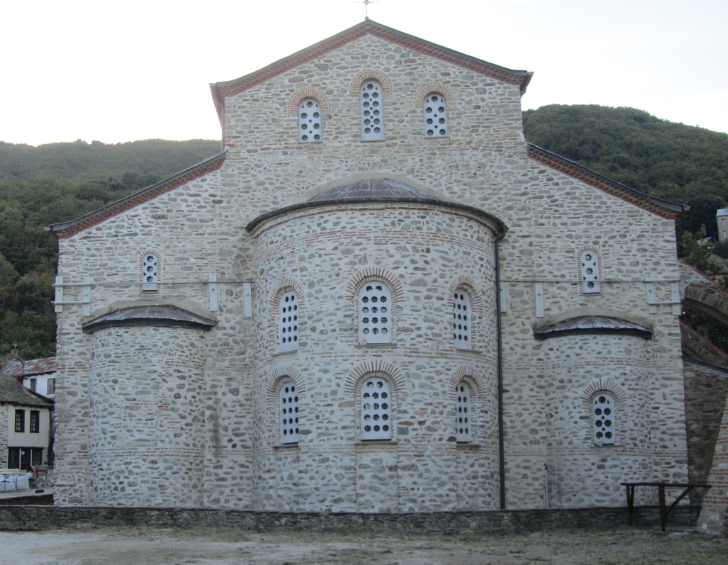 The interior of the 10th century Protaton church in Karyes is not much photographed. 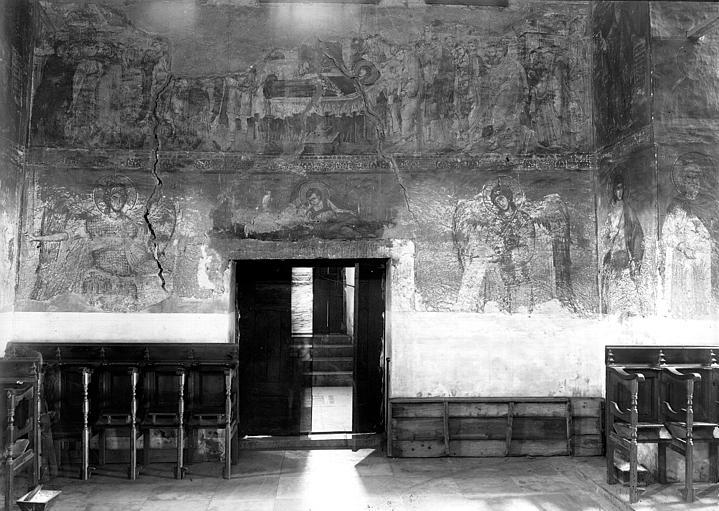 But French photographer Roger Le Baron made a whole serie of photo’s of the inside in 1918. The cracks (caused by the 1905 earthquake?) in the wall are now restored. More detailed shot by Le Baron. 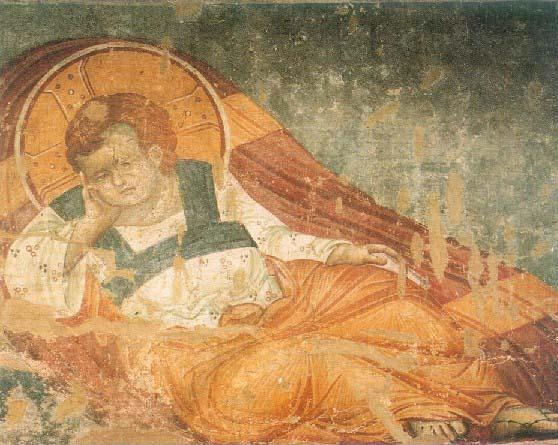 Right above the door an image of Jesus as a child in a sleeping pose (Jesus dormant in French or Christ Anapeson). 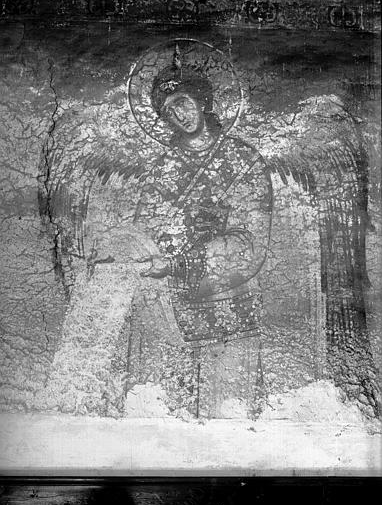 On both sides the archangels Michael and Gabriel. 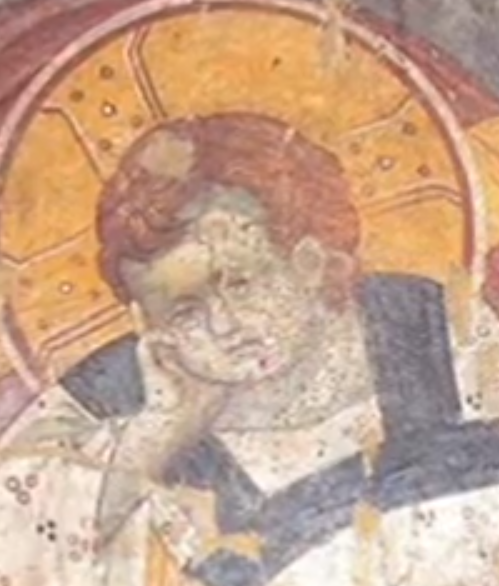 This is what the Byzantine museum says about the Christ figure: Christ is depicted in the iconographic type of the Anapeson (“[Christ] Recumbent”), that is as a sleeping child. This type, inspired by a phrase in the Old Testament, is considered an allegory of the death and resurrection of the Lord. Christ Anapeson. 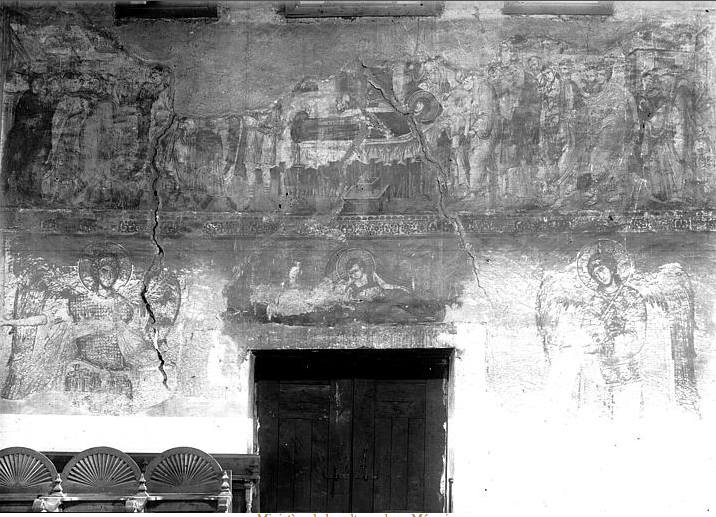 It is not sure of these wallpaintings are made by the great Manuel Panselinos in 1290. This entry was posted in Karyes and tagged Anapeson, angels, Le Baron, panselinos, Protaton. Bookmark the permalink.